In addition to our farm critters and pets, we’re house-sitting for neighbors. Usually we just take care of their cats and plants, but this time of year it’s prime hummingbird season! This swarm of hummers polishes off 4 cups of homemade hummingbird food a DAY! If you watch closely you’ll see two different hummers come to the feeder opposite each other that are bigger and have white tipped tails. I believe they are female Rufous hummingbirds, and they sure do intimidate the native Ruby Throated clan! 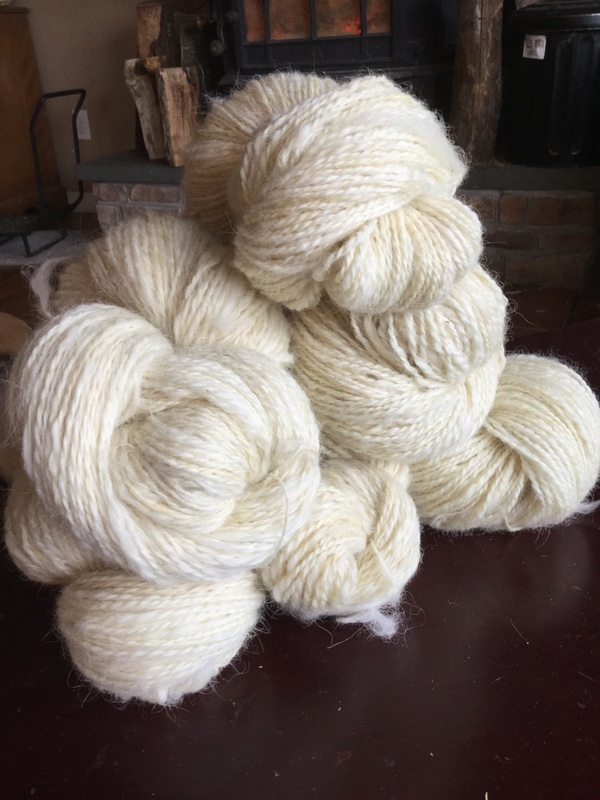 Lots of folks ask us how much yarn you can get from one Icelandic sheep’s fleece. 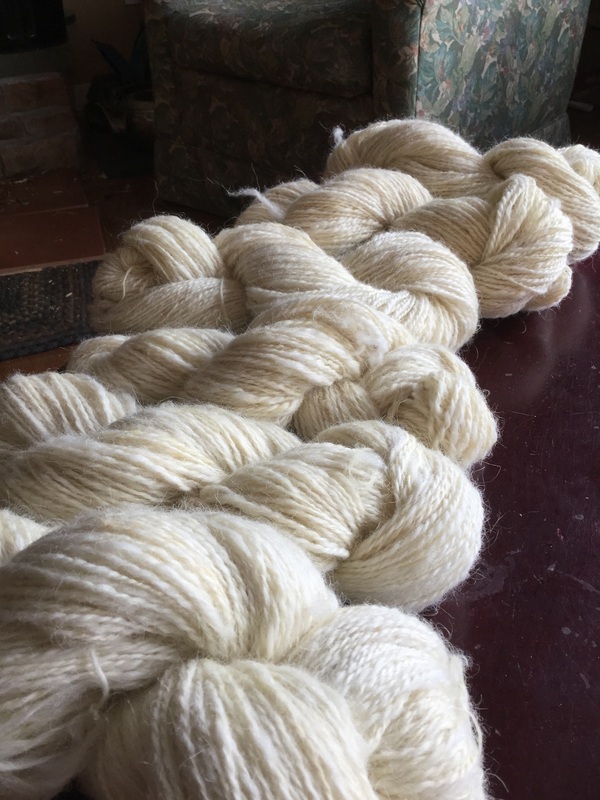 Well, that depends on a lot of things, but our fluffy, white Matilda spun up beautifully into these 6 skeins after skirting last fall. Time to mow the front yard! Takes a little work to get up the portable fences, but seeing how happy the ewes are when they see that field of green is SO worth it! Love how the younger ones literally leap at the last part of the trail to the front yard…You can hear the rams protesting that they aren’t in on the fun!